Bhubaneswar:20/8/18: Noted environment and wildlife activist Biswajit Mohanty has been appointed as the Chairman of the Executive Committee of Greenpeace India whose headquarters are at Bengaluru. Greenpeace operates on common global environment issues like climate change, oceans and air pollution control. In India promotion of renewable energy, control of air pollution and sustainable agriculture are its key campaigns. 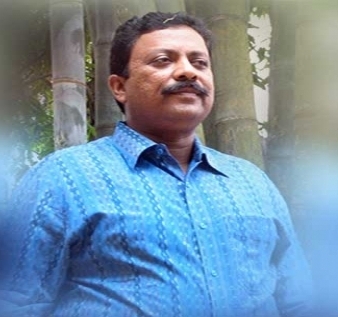 Mohanty has been actively working for wildlife and environment protection since 1994. He coordinated Operation Kachhapa launched in 1998 to arrest rampant deaths of Olive Ridley Sea turtles in the Odisha coast. Has won several awards for wildlife protection including Sanctuary Asia-ABN Amro Award 2011, Times Leadership Award, Ford Award, etc. He was a Governing Body member of Wildlife Institute of India for 2008-2014, was a member of Odisha State Audit Advisory Board and is a former Director, Orissa Forest Development Corporation Ltd. He also served on the National Board for Wildlife during 2007-2013 and was a Board member of Transparency International India during 2010-2013. He is also the Honorary Secretary of Wildlife Society of Orissa. Previous: Newdelhi:20/8/18:The Speaker, Lok Sabha, Smt. Sumitra Mahajan, the former Prime Minister, Dr. Manmohan Singh, the Minister of State for Parliamentary Affairs and Statistics & Programme Implementation, Shri Vijay Goel and other dignitaries paid homage to the former Prime Minister, late Shri Rajiv Gandhi, on his 74th birth anniversary, at Parliament House, in New Delhi on August 20, 2018.